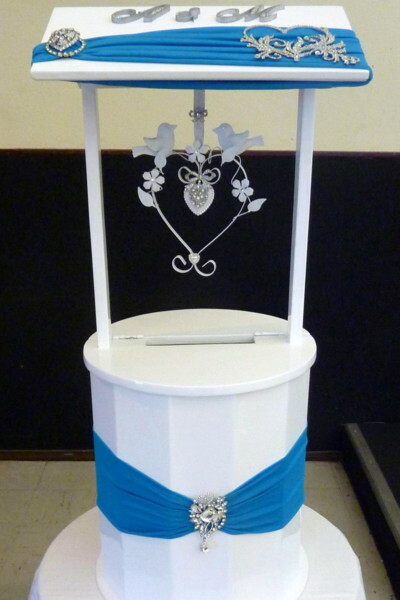 Our wishing wells are available in three sizes and are finished in a high gloss lacquer. Our small wishing well is suitable for events with up to 80 guests. 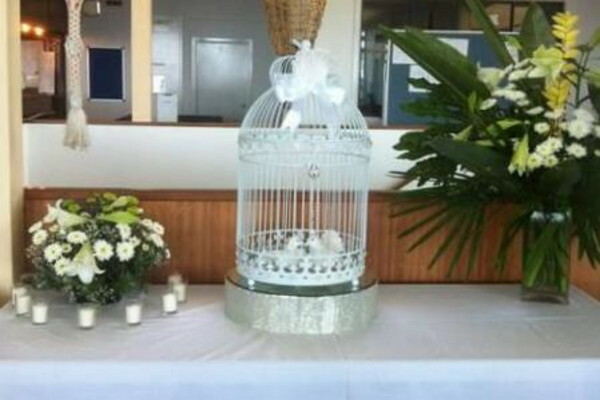 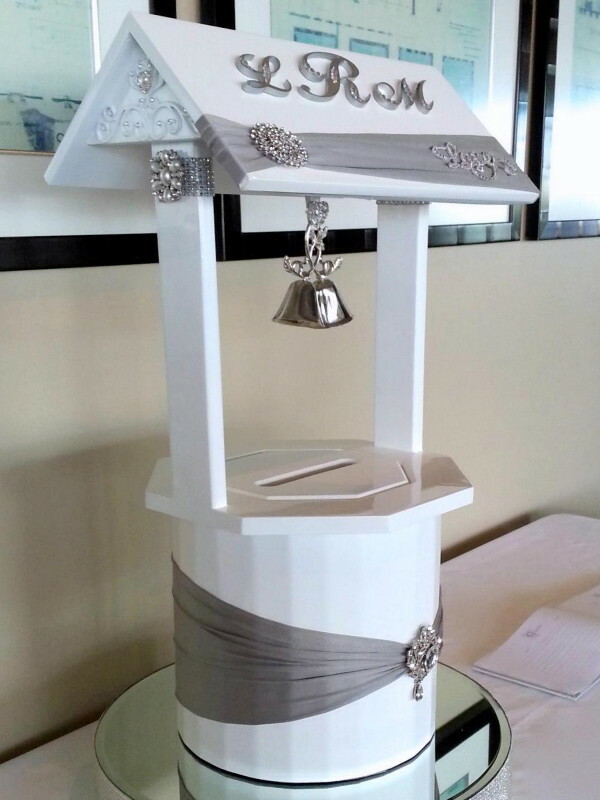 Our medium wishing well is suitable for event with up to 120 guests. 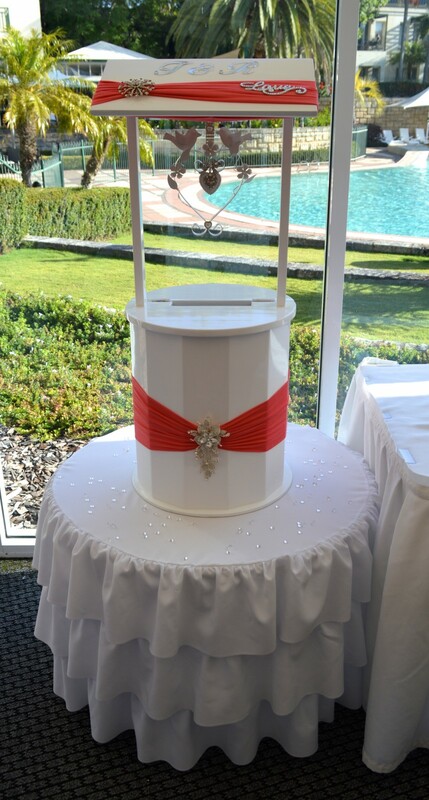 Our large wishing well is suitable for events with up to 180 guests. 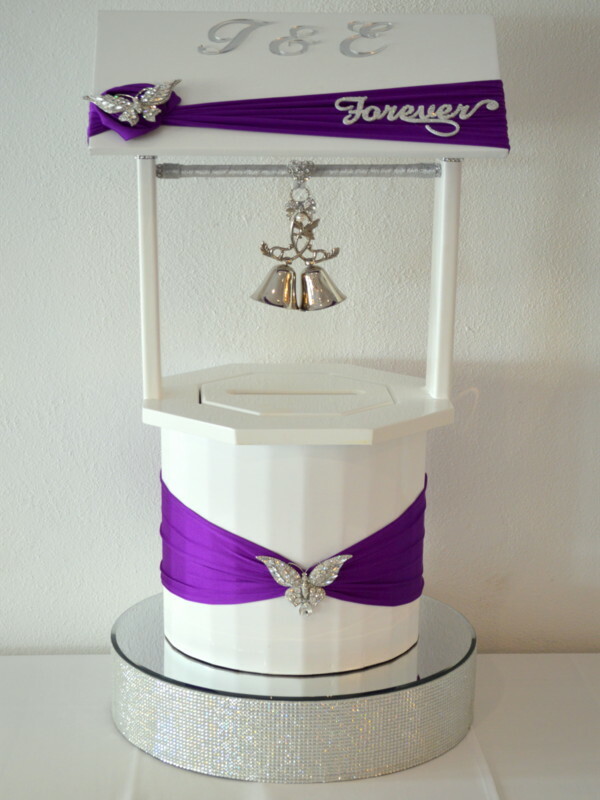 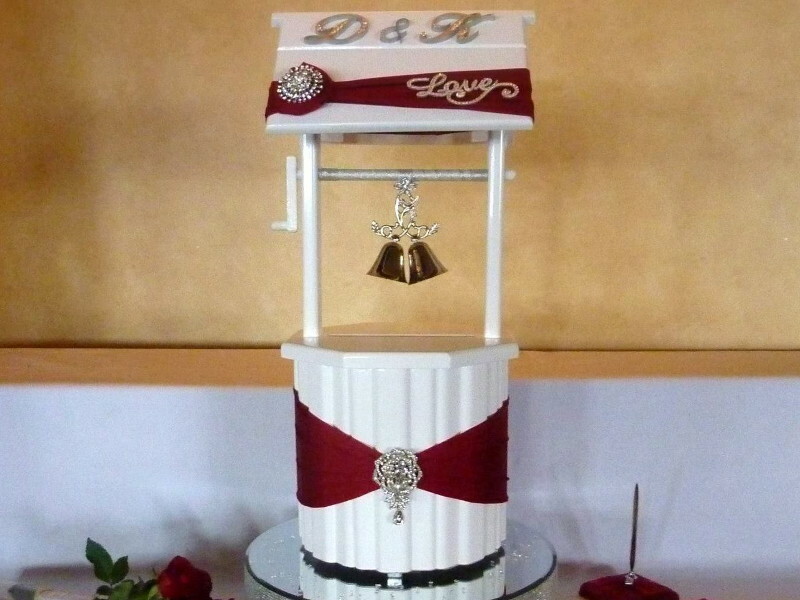 We customise all decorations on our wishing wells to match your colour theme (up to three colours). 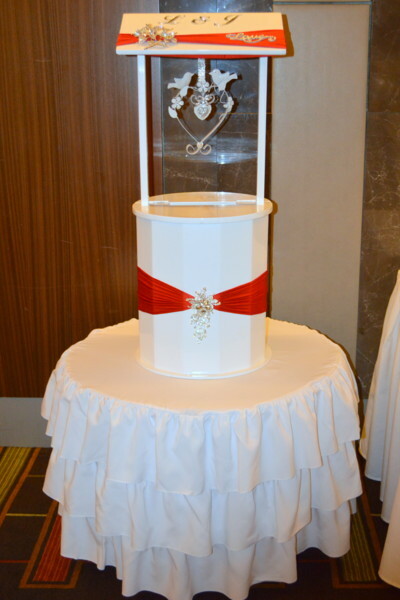 We can even personalise your wishing well with monogrammed initials, your choice of “love”, “cherish” or “forever” and even the decoration that hangs from the center of the well. 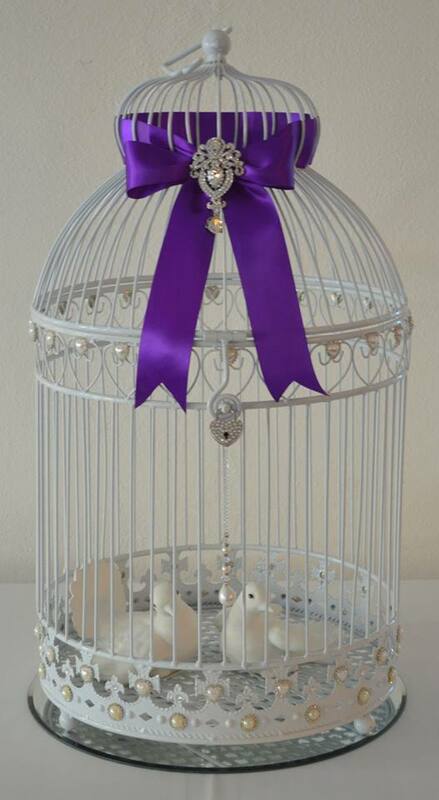 We customise the ribbon tied onto our birdcage card holders to suit your colour theme (up to two colours). 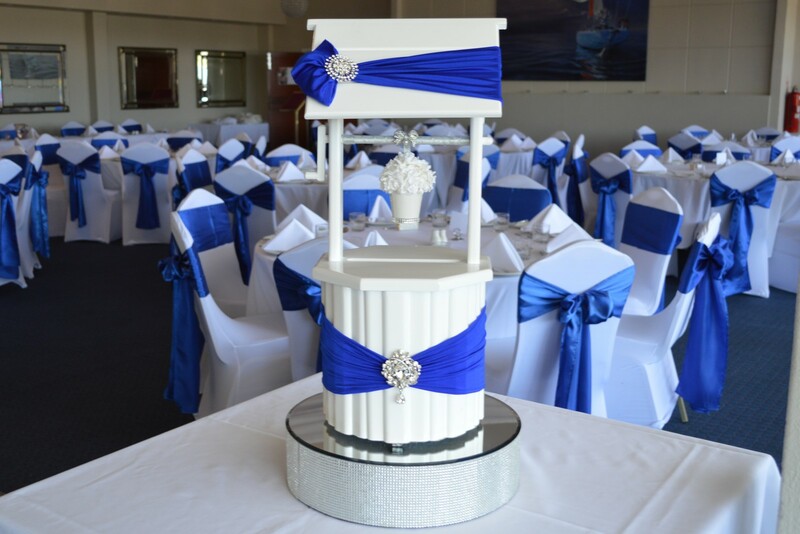 We are more than delighted to discuss the many decorative options available. 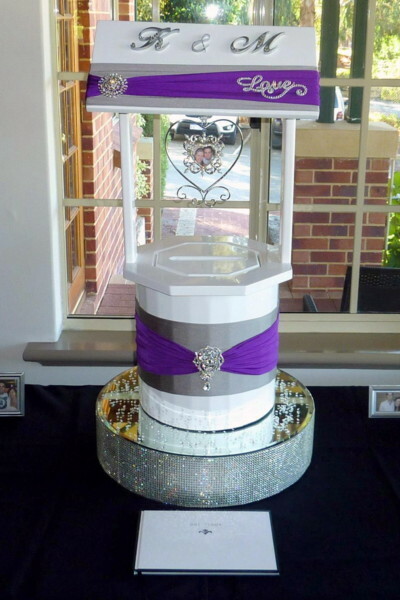 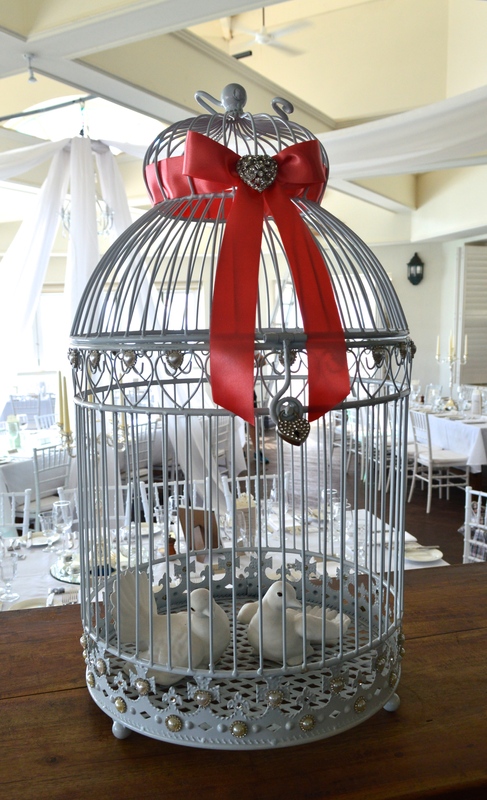 Each wishing well & birdcage is $70 per event inclusive of delivery, set-up and collection within 15km of Perth CBD 6000 or 15kms of Coogee 6166. 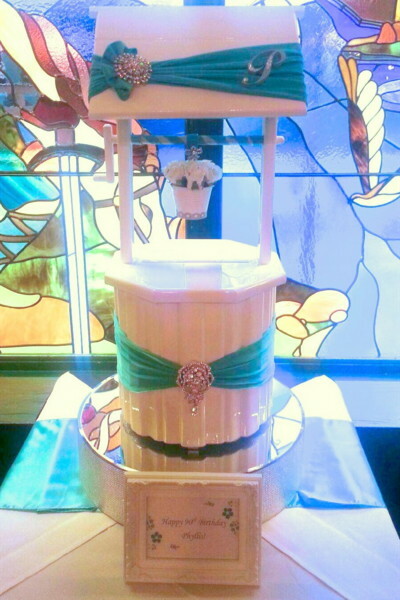 If your wedding reception is in the evening, we will collect the wishing well at its conclusion.